Vol 2, Issue 8: Music Industry Scams, Pt I: Artists Beware! 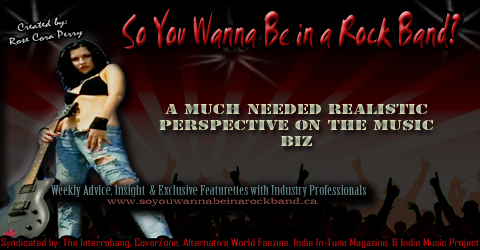 | So You Wanna be a Rockstar? Vol 2, Issue 8: Music Industry Scams, Pt I: Artists Beware! The entertainment biz has NEVER been at a shortage in regards to talent-directed scams, and despite the wealth of literature out there detailing the typical con-artist approach(s), thousands, if not millions of would-be artists find themselves falling victim to these ploys all the time. Further, with an increasing allotment of the market focusing its attention on internet promotional tactics, sucking artists into the “I’ll make you famous” line has become easier than ever through the concoction of mass spam emails. Unfortunately due to the competitive nature of the music biz and the general naivety of artists, musicians have a tendency to fall into the category of easy and vulnerable prey (myself included), simply because of the wide-eyed rockstar dream that we’ve been hoping to fulfill ever since childhood. But avoiding these shady dealings proves more difficult than one would assume. Most of us would fail to realize that we are being scammed if the company that approaches us has a professional looking website, corporate office address, and/or snazzy logo, but with advances in technology, came easier and more widespread access to services and/or products that can make these scams seem legit. We no longer can rely on our simple skills of deduction assuming that an email or letter is ONLY a scam if it is full of grammatical errors, spelling mistakes, and/or is strangely composed entirely of capital letters much like those of the 419 Nigerian scam series that request the urgent cooperation of an anonymous individual in transferring millions of inheritance dollars through his/her secure bank account. Rather, we must not only turn to resources that can provide us with assistance in these matters (the internet is loaded with them), but increasingly, we must learn to trust our “gut instincts”, and understand that if something sounds too good to be true, it likely is (and that especially goes for the music biz). We, as musicians, tend to ignore these feelings because we want so desperately to be discovered and to have “made it”, however that causes us to walk dangerous ground considering today’s most popular scams work to steal two highly valuable resources from musicians that we cannot afford to lose: our money and/or identities. The more exposure an artist gains, the higher likelihood that he/she will become a target because his/her contact information will become increasingly easy to obtain. The scariest part about this situation is of course, that if an artist’s popularity is increasing, he/she will likely assume that offers of representation (from labels, bookers, etc) will soon be on their way. And so, as one can imagine, when receiving a faux-offer, it is unlikely that his/her suspicion will become aroused. To help you avoid descending into scammers’ traps, below I’ve compiled a list of some of the most popular ways in which artists have and continue to be taken advantage of, complete with “warning signs” that should immediately cause your red flags to rise. Discovering new outlets for potential exposure (and new fan generation) is crucial to the career of any musician, but when it is at the cost of your own pocket-money accompanied by unlikely promises, this is a situation of which I’d advise you to steer clear. Several companies constantly scour the net in search of hopeful musicians who are willing to supply a track for their CD compilation(s) which may or may not ever get produced. For a one-time fee, ranging anywhere from $50, to at times, $500, these companies will assure you that your song will receive priority placement on a comp disc that will be handed out to industry professionals at some of the top music conferences in the world including PopKomm, SXSE, & MIDEM. What you don’t know of course is that the very same email praising your unique artistic ability (flattery always works to assist in persuasion) in order to gain your confidence in their project has been sent to thousands of other musicians (sorry kids, you weren’t specifically chosen for any particular reason, other than the fact that your email address was accessible and you looked like an easy target). Additionally, for those of you who are unfamiliar with how music conferences such as PopKomm work, even if these cds really do get created, the ability to get them into the hands of industry professionals is a stretch, to say the least. Usually, upon attending a major music conference, record execs and booking agents have already arranged a schedule in advance of acts that they plan to see perform, and the booths that are set up in the registration areas (where cds and pamphlets are featured) are most often visited by fellow musicians NOT industry pros. However, track requests are sometimes made on behalf of legitimate cd compilation manufacturers via email as well. So then, how do you tell the difference? Well, for starters, any company that wishes to legitimately feature you as an artist on a CD compilation will more than likely be looking to obtain a profit through its sales and therefore, as a featured artist you are entitled to a cut of these proceeds. If the CD compilation manufacturing company is the “real deal”, a royalty sharing agreement will be enclosed alongside the track request. If a royalty consent form is missing, this is likely another scam in which, once the manufacturer obtains a single copy of your song,(s)he will continue to reproduce it for profit, without compensating you for your work. Along similar lines to the CD comp scam is the “pay to play” showcase hoax in which a concert promoter offers your band a performance slot at his/her upcoming event held at a large performance hall (commonly places like The Opera House, Toronto or The Knitting Factory, NYC) in which industry professionals are guaranteed to be present scouting new talent. The real effectiveness of these “pay to play” scams is derived from their distorted mimicry of authentic major music industry showcase events. This scam works because of its tempting double-pronged approach: first off, bands are under the misconception that acts commonly get signed off of a single performance, and that since they are being given the opportunity to play to label scouts, they must be ready to take their career to that next level. Secondly, this con is appealing because bands routinely jump at the opportunity to play at reputable venues that they normally wouldn’t be able to book on their own because it gives them bragging rights. Just as the CD comp invitations are sent out randomly to acts that seem dupable, so too, are these showcase notices – don’t be fooled! In order to demonstrate their commitment and so-called mass appeal, bands are required, on behalf of the “pay-to-play” promoters, to sell highly overpriced tickets to these events with the rationale being that if a band does not have an established fanbase, they will not be appealing to labels (not entirely true). Each band is given a set number of tickets that they are required to sell in order to reserve their showcase slot, and upon arrival to the venue, the bands are given instructions to provide the promoter with the money from the ticket sales along with any remaining tickets. If a given band does not obtain the set ticket sale rate, their performance privileges are revoked. Of course, this situation should present an immediate concern to bands: If promoters need to rely on the booked acts to sell tickets to their events, are they really skilled promoters? The obvious answer being no, but these promoters especially seem to have a way with words in which they can manipulate acts into believing that it is impossible for them to get signed, unless they bring a bus full of their fans to support them. The other concern raised by these ticket sales relates to where the money actually goes. Most obviously the concert promoter needs to pay rental fees in order to schedule events at a given venue, however, considering the astronomical selling price of these tickets, there must be something else going on, and in fact, there is. Any band that has played one of these events knows that they do NOT get paid for their performance (regardless of how far they have travelled) as they are told to think of these showcases as opportunities that will be worth it in the long run, but are they really? I have yet to meet a single act that has been granted any kind of deal out of one of these events, and I happen to know, without a doubt, that these promoters are only interested in one kind of business: that being, taking advantage of bands. “Pay to play” showcases are profitable ventures for shady concert promoters that all too often leave bands in a state of self-doubt regarding their abilities because they did everything “right” according to the promoter, yet they did not compel label interest. These acts indeed did do everything right: they made the promoter lots of quick cash with minimal effort exerted on his/her behalf (thanks to all of the bands selling the tickets for him/her!). It is true that prestigious industry festivals and conferences often do not provide accommodations or performance payment to their selected artists because the opportunity to perform is seen as having potential long-term benefits that outweigh these costs. However an artist will NEVER be expected to pay to play at a real event, nor will they be expected to supply the crowd, especially since the performance application process is open to artists internationally, and no music conference in Toronto, for example, could expect a Finnish band to realistically bring all of their home town fans to their performance. If you have been invited to perform at what seems like a major music festival and/or showcase, prior to accepting the invitation, I encourage you to see if the festival has any promotional materials and/or a website that you can review. It is important to consider how many years the festival has been running, the average attendance rate, previous performers, scheduled label attendees, and festival sponsors when deciding whether or not it will be worth your time. Remember that, if you are responsible for your own travel and accommodations, it may be an expensive endeavour, and thus, you need to ensure that it will most certainly be worth your money, and time. Hosted by infamously questionable companies like Supernova, local pubs frequently present battle of the bands competitions which appear, on face value, to offer lucrative prizes and acclaim to their lucky winners. However, what few know is that the entrance fees that bands are required to pay in order to participate are often worth more than the actual prizes! 2) because several of these events are fraught with speculation of being “fixed”. I have heard, on more than one occasion, sad stories about bands that “rocked their hardest”, had the entire room up and cheering for them, yet still somehow failed to place among the top ranks, despite the fact that these competitions are openly noted as being fan-driven and placement is supposedly based on crowd rankings. The customary top prize for a winner in one of these competitions is studio time. While this may seem like a great award, especially if your band has a cash-flow problem, what one needs to ask themselves is: what kind of studio would give away a recording session for free? Through experience I can tell you that the kind of studio that would is NOT the kind of studio that you want producing your album. Further, usually the small allotment of studio time granted only allows an act to record a couple of songs which may or may not include additional mixing and mastering (any band that has previously recorded something professionally knows that a piece is virtually “unreleasable” if it has not been mixed and mastered in order to properly align levels and song dynamics). Other popular prizes include website design, a free instrument and/or gift certificate to a music shop, free publicity, free merchandise design, and a support slot for a headlining act and/or a performance slot at a festival. Again, although all of these prizes are tempting at first glance, I think it’s important to consider the reputation and current client list of the company that is offering the free services. If you’ve never heard of them, the actual award is likely not as good as it appears to be. 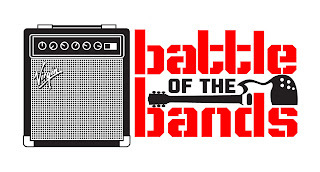 In the case of the grand prize being a festival showcase slot or free publicity, I think it would be important to note the battle of the bands’ previous winner(s) to see if the awarded performance slot(s) and/or publicity actually did anything to assist the bands’ career. On the same page, I also advise you to be skeptical of songwriting and independent music award competitions which seem to be growing in popularity over the internet. As an entertainment columnist, I consider myself fairly in-tune with the industry, and I can say decisively, that to this day, I have yet to recognize a single winner from competitions of this sort, and so I have to wonder how much merit they actually hold among industry professionals? Of course, one of their biggest selling points is that these competitions usually have celebrity music judges, and so it makes indie musicians feel as though they are one step closer to being “discovered”. The other aspect of these contests that seems rather fishy is their big time cash rewards. Now it makes sense that their entry fees, as a consequence, would be very steep as these contests need to be able to generate their giveaway money in the first place, however what concerns me is: what if they do not get enough entrants to generate that kind of dough? Will the award suddenly drop from one amount to the next? And if these competitions are not relying on the entrance fees in order to generate their grand prize money, then why are the entry fees so steep considering that it’s a well known fact that independent musicians do not have that kind of money to burn? Though this line of questioning may seem like a kind of paranoia, when you are an independent musician trying to establish a career for yourself, every move you make needs to be done in a strategic manner, and at no juncture, can you afford to lose your precious resources. Rose Cora Perry is the frontwoman for Canadian hard rock band ANTI-HERO known as “The 21st Century Answer to Nirvana”, as well as the sole owner and operator of HER Records, a management company in which she offers marketing, promotion, publicity, tour booking, and artist development services. Her band ANTI-HERO has toured extensively across North America playing notable festivals such as Warped Tour, Canadian Music Week, NorthbyNorthEast, Wakefest, and MEANYFest. Voted “Best Rock Act of the Year” by numerous industry publications, their critically acclaimed debut album, “Unpretty” is available worldwide for purchase. Well they screwed me, They are processing my songs till 3050, I believe? I submitted my songs in 2012. Guaranteed, my song had high potential. Since I dealt with the top man of Universal, no one really knew him.They used to be demoexxpress.com. After numerous complaints, thet dissapear, to reappear under the demoprocessing.com cover. They are false, fraud. And their leader, gives himself out as A&R for Sony, under the fake name david sanders. Previous, Exec. VP, A&R Universal Records, NY. But runs this scam under an umbrella of fake photo shopped pictures of major labels. They seek victims, through Reverbnation, Twitter, Instagram, Facebook, and who knows! I had ’em back on my http://reverbnation.com/aquablauw9, and i caught him. Please, don’t let no one get involved with this group. It is a rip off scheme party! Using a service to hide them, is trouble. No phone, no Names, no veriviable track record, But use Paypal, better then Western Union to rip people off. Contact met at harry.broker1@gmail.com or google me under aquablauw. I am total legit! Sorry to hear you got swindled Harry. Unfortunately such things are a harsh reality for most musicians as companies prey on our desperation to “make it” which makes us vulnerable and easy targets. At least it sounds like you learned from your experience to be more cautious and know the red flags to look out for. It’s great that you’re willing to help others with this information also! Vol 2, Issue 7: Setting The Record Straight, What it Actually Means to Have a Gold, Platinum, or Diamond Selling Album Vol 2, Issue 9: Music Industry Scams, Pt II: Getting Screwed in Places You’d Least Expect!